Kim Lam is an ordinary college student until a freak scientific accident (what else?) transforms Kim and three housemates into Sparks - and drafts them into the never-ending war between the Light and Dark. They struggle to master their new abilities - and (of course) to design cool costumes and come up with great hero-names. Turns out that "accident" was just the first salvo in a Mad Genius's latest diabolical scheme. Now it's up to four newbie heroes to save the day, before they even have a chance to figure out what their team's name should be! Betrayed by those she trusts most and her magic ripped from her, all Sal the Cacophony has left is her name, her story, and the weapon she used to carve both. But she has a will stronger than magic and knows exactly where to go. The Scar, a land torn between powerful empires, where rogue mages go to disappear, disgraced soldiers go to die and Sal went with a blade, a gun, and a list of seven names. 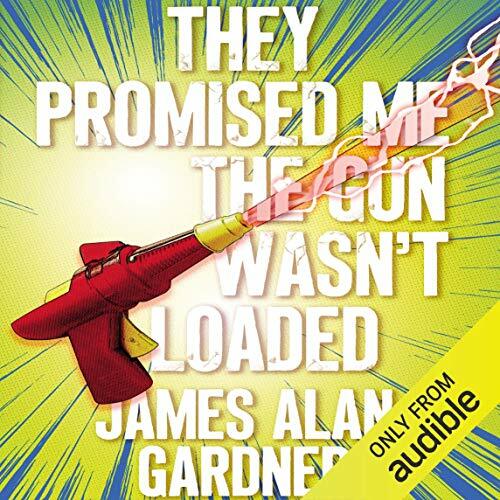 Award-winning author James Alan Gardner returns to the superheroic fantasy world of All Those Explosions Were Someone Else's Fault with They Promised Me The Gun Wasn't Loaded. Only days have passed since a freak accident granted four college students superhuman powers. 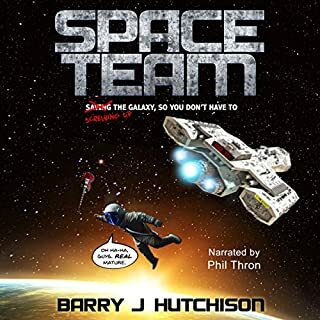 Now Jools and her friends (who haven’t even picked out a name for their superhero team yet) get caught up in the hunt for a Mad Genius’ misplaced superweapon. 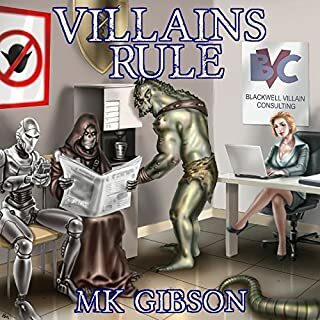 But when Jools falls in with a modern-day Robin Hood and his band of superpowered Merry Men, she finds it hard to sort out the Good Guys from the Bad Guys - and to figure out which side she truly belongs on. 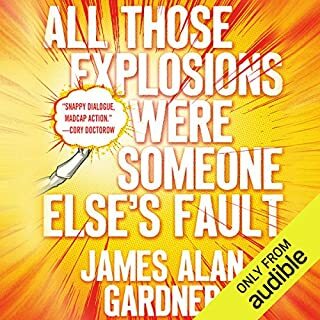 ©2018 James Alan Gardner (P)2018 Audible, Inc. I enjoyed this book quite a lot. 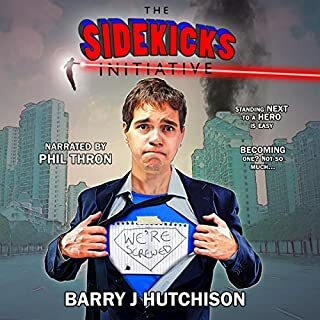 it was a superhero book but not extreme on the action. it was much heavier on the main character is internal monologue that on any external dialogue. If I found any faults with it it is a little bit preachy. The moderator does an excellent job. 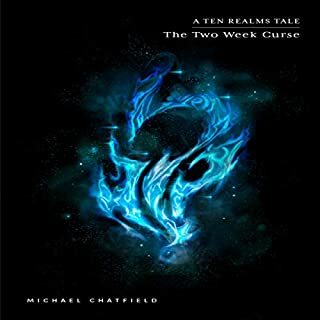 A great second installment, with superb narration. 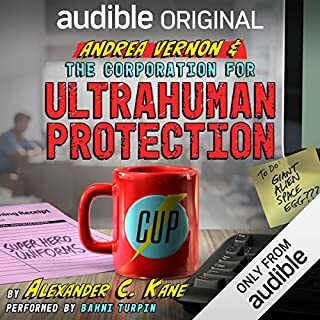 Fantastic Narration, really brought the characters to life. A great follow up to the first book, looking forward to the next installment.